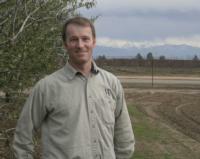 An innovation that has brought Doll acclaim in the Merced farming community is his Almond Doctor blog. The project connects farmers who are producing almonds on 110,000 acres in Merced County with the latest UC research on almonds. Doll is on the cutting edge of another agricultural technology: the use of drones for aerial imaging to determine orchard water stress. The project is still in its early stages, but Doll sees the potential. California farmers produce 100 percent of the United State's almonds. 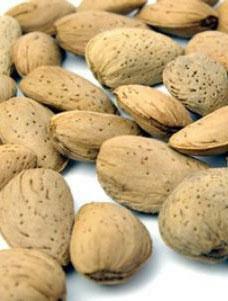 Almonds are the second-highest export crop for the state. Doll was in 4-H for seven years and an active member of Future Farmers of America in high school, serving as president his senior year. Despite all the exposure to agriculture, he said, it wasn’t until he worked in a greenhouse nursery that he got interested in agricultural science. His curiosity prompted him to study plant biology at Purdue University, where he assisted in the lab of a plant pathology professor who earned his doctorate at UC Davis. When Doll completed his bachelor's degree, he enrolled in graduate school at UC Davis at his mentor’s suggestion.